Where are the bras now? We realise it'd be weird to keep hundreds of old bras at the JACK studios. So now they've been taken down from the city centre, we'll be passing them to the chaps and chapesses at Against Breast Cancer. They'll chuck the bras to countries that'll give them a new lease of life - like Togo, Ghana and Kenya, where bras are too expensive to produce locally. It'll also help fund the research Against Breast Cancer do - like working to find a vaccine against breast cancer and look at ways to increase the survival rate of women and men who have the disease. 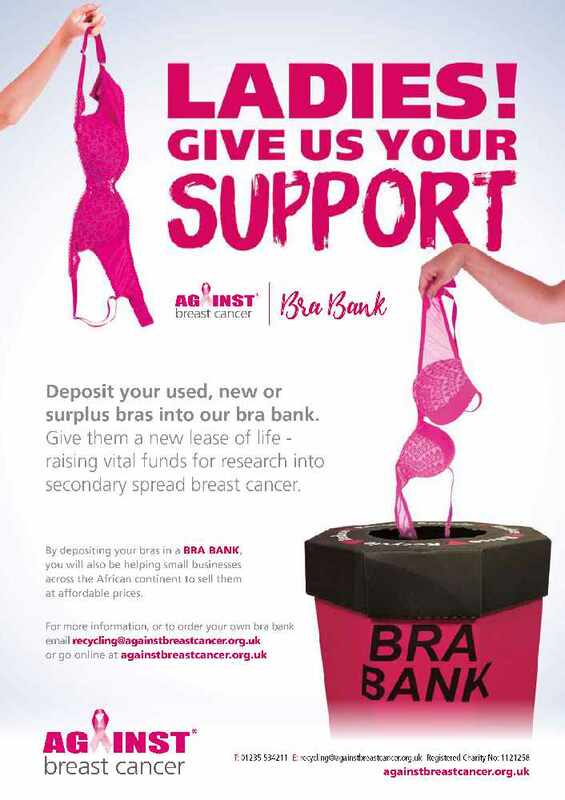 Tap the poster for all the info about where and how they recycle your old bras.